Hanoi’s office market enjoyed a boost from an additional supply of 81,000 square meters during the first quarter of this year but it is yet to undergo a boom, according to a foreign-invested property services provider. 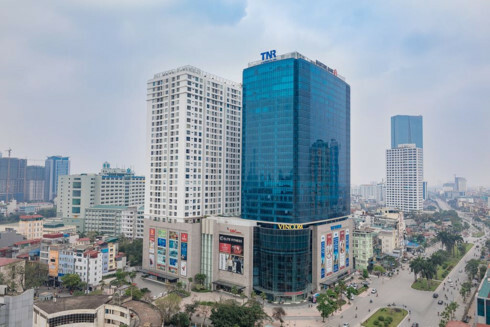 Savills Vietnam stated in its Q1/2019 report for the performance of Hanoi’s office market that one new Grade A project and three additional Grade B ones added a combined 81,000 square meters to the total supply. Grade B projects and the west of the city remained the largest suppliers. Whilst occupancy and demand remain high, the average rent is forecast to increase in the short term with numerous landlords raising prices. The central business district (CBD) segment continued to report increasing rental prices, but the non-CBD posted stronger growth in rent. Hanoi recorded 6,339 new businesses, surging by 16.2 per cent per annum, with total capital of VND52.6 trillion (US$2.28 billion), up 0.2 per cent on year. Notably, the CBD welcomed its first Grade A building in the past five years. Interest in Grade A projects is expected to increase in line with upward foreign direct investment and dynamic M&A activities. There are currently no contiguous spaces in Grade A buildings in the west and CBD areas, with the exception of the newly-launched ThaiSquare building. Existing buildings are aging and lack modern facilities, whilst future developments meet legal restrictions and expensive construction caused by scarcity of land. Tenants planning to expand may need to consider flexible split-floor solutions or try relocating to other areas, Savills Vietnam said. Co-working spaces have grown in popularity as Regus, Up, Toong, Cogo, Tiktak, CEO Suite, Dreamplex, and WeWork all entered the market. As this model is quite new, growth is set to accelerate further. Potential entrants include JustCo, Ucommune, and The Executive Center. In 2019, Regus plans to open a new center in Hanoi under the “Spaces” brand while Cogo will expand in FLC Twin Towers, Sun Plaza Ancora, and more. From 2019 onwards, Rehoboth will open three centers in Hanoi and Toong will integrate into “Wink” hotels. A new supply of approximately 392,000 square meters is expected to enter the market by 2020. Tenants are moving from the old CBD - Hoan Kiem district - to newer business areas such as Midtown and the west. With advantages in infrastructure such as upcoming metro lines, connectivity with other business districts (CBD and the west), and the largest supply of quality office buildings, Midtown is becoming a “core business district”, said Bui Trung Kien, associate director for leasing from Savills Vietnam. Demand drivers include improved infrastructure (metro lines), increasing commercial and residential developments, as well as large yet affordable spaces. Office demand could increase in many districts such as Thanh Xuan, Hai Ba Trung, Long Bien, Ha Dong, and Tay Ho, as these districts see a mix of limited office supply and the large number of workers.